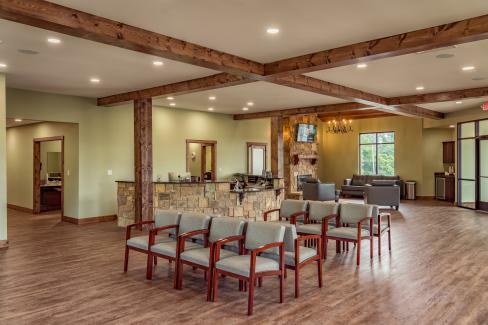 The building includes more than 5,550 square feet of first-floor space and almost 1,850 square feet of private event space on the second floor. 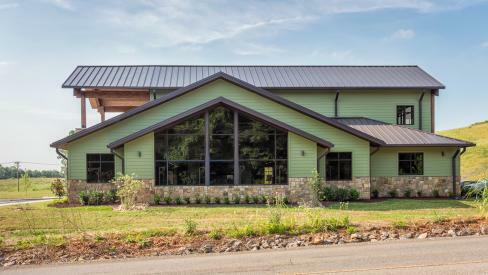 The wood-frame structure consists of stone veneer, HardiePlank® lap siding, and rough sawn lumber overhangs, which gives this modern facility a charming, craftsman-style look. 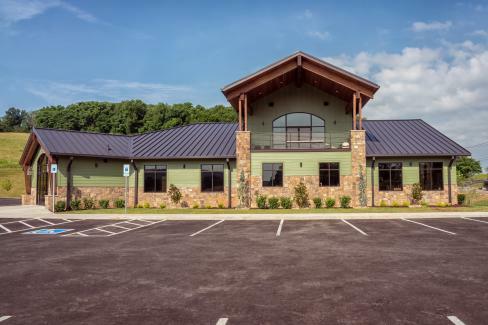 The standing seam roof system will provide the owner a more durable and maintenance-free alternative while giving excellent thermal performance that will help reduce the building’s overall energy waste. 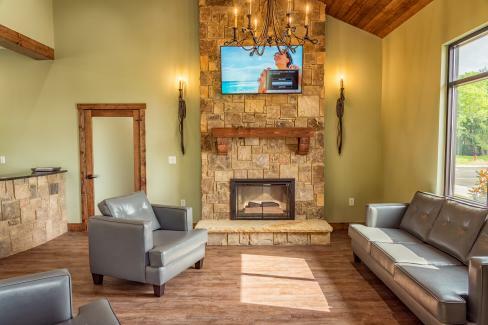 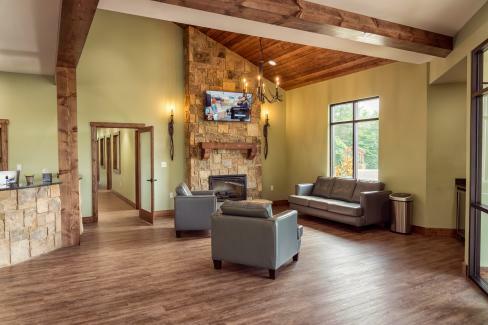 The 1,300 square-foot waiting room showcases exposed beams overhead, a beautiful gas fireplace, coffee bar and large gaming area for the kids. 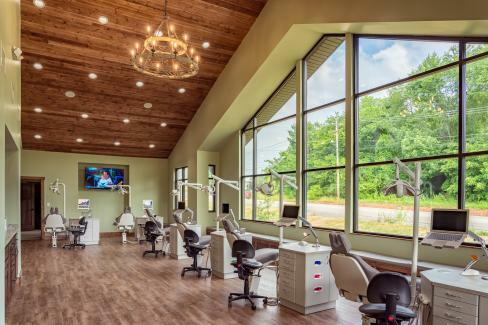 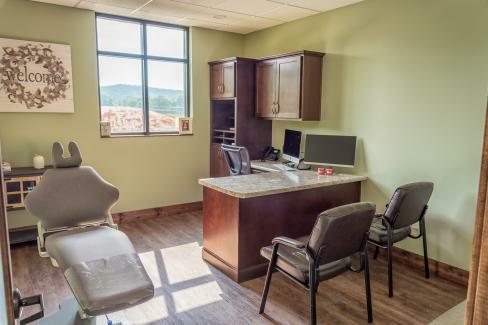 The nearly 1,000 square-foot treatment area is accented with vaulted tongue and groove ceilings and 15’ arched windows, and includes 10 treatment chairs, two private treatment rooms, an x-ray room, employee break room, as well as a brushing station with four sinks. 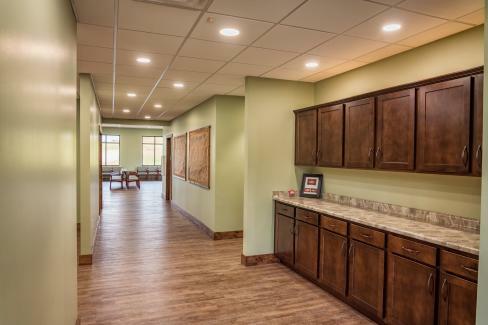 The building’s flooring is a mixture of luxury vinyl plank, ceramic tile and carpet, and the ceilings are comprised of tongue and groove wood, painted gypsum board and acoustical ceiling tiles. 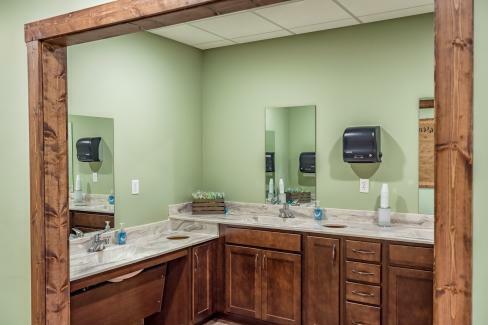 The second floor features a large sitting area at the top of the stairs, two separate staff locker rooms with showers, a full kitchen with 6’ island and attached lounge area, a 14’ x 20’ covered porch with vaulted ceiling and exposed Douglas fir rough sawn beams, and a multipurpose room that can be used as a fitness area or private event space. 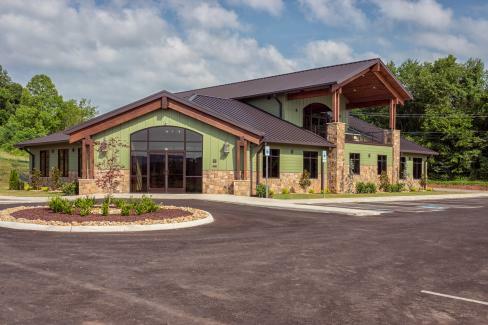 This project was the first to commence on the six-plus acre commercial development, with plans for multiple commercial properties in the works.